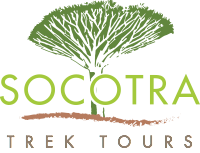 To be well prepared for outdoor activities which will constitute most of your stay on Socotra. Shoes or trekking sandals suitable for walking on stones. Comfortable clothes made of functional materials that absorbs the humidity and dry quickly. Sometimes you need change often. Jumper, wind-cheater and thick socks if you plan to camp overnight in the mountains. That even if provided, you might prefer your own equipment for snorkelling and a spare T-shirt to avoid sunburns on your back while swimming. For women who want to swim in the sea or in the pool, instead of bikini, bring baggy t-shirt and pair of leggings to cover legs. It is not compulsory but you will feel better not get long stares. That thin sleeping bag for overnights on the coast: modern tents, mattresses, blankets and pillows are provided at different eco-camping sites. To bring repellent for mosquitoes on the sunset. Wet wipes or similar tissues for personal hygiene when water will not be available. To keep in mind that even if sometimes hidden by clouds, the sun is strong and that you will need hat and sun protection lotion. Bringing enough cash since ATM on the island and credit cards are not reliable, as sometimes electricity is off and bank can face technical problems. To ask permission before taking pictures of people, especially photographing women is a sensitive issue. To respect the local culture, and be aware that it is illegal to remove any life material from Socotra such as plant, seeds and insects and so on. The electrical system encountered on Socotra and in Yemen is the so-called “British” type G, with 3 rectangular pins. 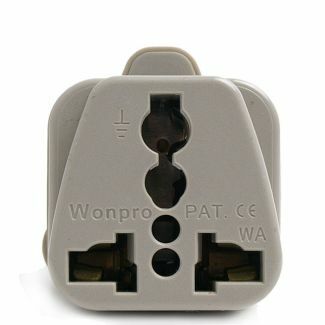 Do not forget to bring the corresponding adapters to plug your devices. Electricity is only available in Hadibo and in Delisha and Qalansiyha campsite, then mostly few hours in the evening. We strongly recommend you bring a car charger working on the cigarette lighter.